Welcome to Bravo 4 Autowerks in Charlotte, NC. Bravo 4 Autowerks is proud to service the Charlotte area, seasoned with mechanical experience sure to take care of all your auto repair needs. We may be new to the Charlotte area but we have over 20 years in the automotive industry. Whether it is Audi Repair, Mercedes Repair,Auto Repair, BMW Repair, or VW Repair, our auto repair shop can service and repair any car-related problem, no matter how complicated it is. When you arrive at our shop, located in Charlotte, you will be greeted by our well-trained service advisor who will work with you on how to solve your auto repair problem or determine the best regular service package. Once arrangements for your vehicle have been made, they are handled by our auto repair specialists. It doesn't matter if you come from Charlotte and Huntersville or the surrounding area, we will treat your auto repair problem with the utmost respect. So whether you're just driving through Charlotte and Huntersville or you live here, drop by Bravo 4 Autowerks and we will fix your car. "Mark is very nice guy who did excellent work on my 2012 Audi A7. I highly recommend him for Audi repairs. Prices are reasonable too." "Responsive, high quality, fairly priced"
"Mark is an awesome mechanic. He diagnosed the issue in my Audi Q5 in seconds (which a leading dealer did it wrong and took two days) and fixed it in one third the cost quoted by the dealer. I highly recommend him." "Mark quoted a certain price to my son and when the job unexpectedly became much more complicated he stood by his original quote and did the extra work for no extra charge. That is rare in today's world. I recommend Bravo 4 to everyone with a VW." "Mark is awesome and great at what he does that's why I'm a loyal customer. He is not pricey and has integrity." "great service - great price - would highly recommend to anyone"
"Tell them they are one of the best shops you can go to for customer service and fair pricing"
"The work performed is very thorough and affordable. I bring my Mercedes in all the way from Pinehurst, NC because of the excellent service that Mark provides." "I trust Mark & Bravo4 implicitly. I walk out knowing exactly what's going on with my car and where I'm at in my maintenance - what's in the pipeline for the coming months. Most importantly, regardless of the severity of the issue, I get in my car trusting in it's reliability knowing quality work was done." "Mark is very trustworthy. 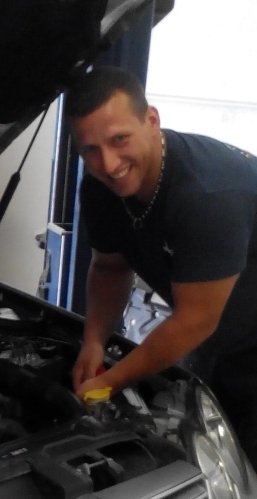 He goes above and beyond to ensure your vehicle is repaired ." "Quality of the work was top notch and it was performed at a reasonable cost. The customer service provided by Mark at Bravo 4 AutoWerks exceptional and I would highly recommend them for any of your German Car repair or maintenance needs; you will not be disappointed. Prompt service at fair prices - what more could one as for?" "I would tell them that Mark's expertise is superb along with having integrity and reasonable pricing, you can't go wrong choosing Brave 4 Autoworks. I personally have referred 1 client and 2 friends to Bravo 4 Auto since Mark initially fixed my car in July 2014." "Great customer service. Any issue that we have had with our vehicle has been identified and fixed. We will never go anywhere else." "The very best, Mark does what he says and charges a very fair price. I would recommend anybody to Mark." "Great Mechanic!! Excellent customer service!!!" "Mark at Bravo 4 AutoWerks was great to work with for the service work on my 2012 Jetta TDI. Services were performed quickly and very efficiently in terms of cost in comparison to the local area VW "dealers". We discussed the services which would be performed and the parts that would be used to carry out the Services. Top quality parts were used and the total service charges were very reasonable. Our 125,000 mile Diesel runs better and smother than new now; I would highly recommend Bravo 4 AutoWerks for your German Car repairs and service work. "Mark was great and went above and beyond helping me get my car fixed. Great job, Great Service!!! Vet owned, so aside from the great job on my car...Thanks for your service to our country!" "Mark was great and went above and beyond helping me get my car fixed. Great job, Great Service!!! Vet owned, so aside from the great job on my car...Thanks for your service to our country!" "I literally drive 3 states away to let Mark service my BMW. He is friendly, extremely knowledgable and gets the job done right the first time. Mark is great...plain and simple." "Exceptional work at a reasonable cost. I have taken my daughters vehicle in for repairs twice and work was completed the same day. I would recommend Bravo 4 Autowerks to everybody." "Excellent! Highly recommended. Extremely affordable and great customer service." "Mark has always done great work and is very honest about costs -- he really looks out for me and my car!" "I had the most re-assuring experience @ Bravo 4 Autowerks: The car problems were diagnosed and fix properly. I was given advice on the vehicle's condition. I took my other car over for service because of it's many issues. The care given. The honest evaluation alone. The meticulous work performed to detail for correcting problems on vehicles. If you wish for your automobile to be taken care of, this is the place. JG"
"By far the best service I've ever experienced. I will be taking all of my vehicles to Bravo 4 Autowerks for service and telling all of my family and friends to do the same. You will not find better service and value anywhere." "Mark was very knowledgeable about my Mercedes and the price was very reasonable." "Service is great. Prices are very reasonable." "Mark was very knowledgeable about my Volkswagen. If he told me that he would call me and let me know about my car, he would keep his word and call. I was very pleased that I was kept informed and updated about my vehicle. Also the service and work is very affordable and honest. I would highly recommend Bravo 4 Autowerks and also say that you get a very good quality service and work at a low price." "The service at Bravo 4 Autoworks is awesome. Mark really cares about his customers and it's great to know that I have a mechanic that is such a hard worker has integrity!" "Mark is a very professional and knowledgeable technician. He also was easy to talk with about what needed to be done to my car. The work was thorough and the service was great." "Currently still working with Mark to repair the issue that unfortunately needed a deeper granular analysis that the dealership could only do, but Mark's technical knowledge and customer satisfaction proved to be the solution that we're going with. We had parking brake light issue that wouldn't disengage in order to drive the car. We had to manually override in order to drive it. But Mark has been with us thru the entire process and has gone above and beyond to accommodate our needs. You just don't find mechanics like this, these days. Mark's reliable, dependable, honest, and a straight-shooter. I definitely would recommend Mark to any of my family and friends." "Thanks Mark for the detailed vehicle analysis, friendly conversation, and professional engagement. I can definitely speak to his technical knowledge of foreign automobiles (BMW, Benz, Volvo, etc.) We plan to make Mark are premiere auto "go-to" mechanic. He's reliable, dependable, honest, and a straight-shooter. I definitely would recommend Mark to any of my family and friends."